Do you know where to go for conferences, training or workshops on internet marketing and related fields such as SEO, SEM, and Social Media? Of course, we can find such events in every country, including Poland, but obviously the popularity and level of substantive knowledge to be found at such events can be very different. For anyone even vaguely interested in these topics, it is not hard to guess that the United States and the United Kingdom pretty much have a monopoly on the most valuable conferences that are really worth attending – and I hope I don’t have to explain why. 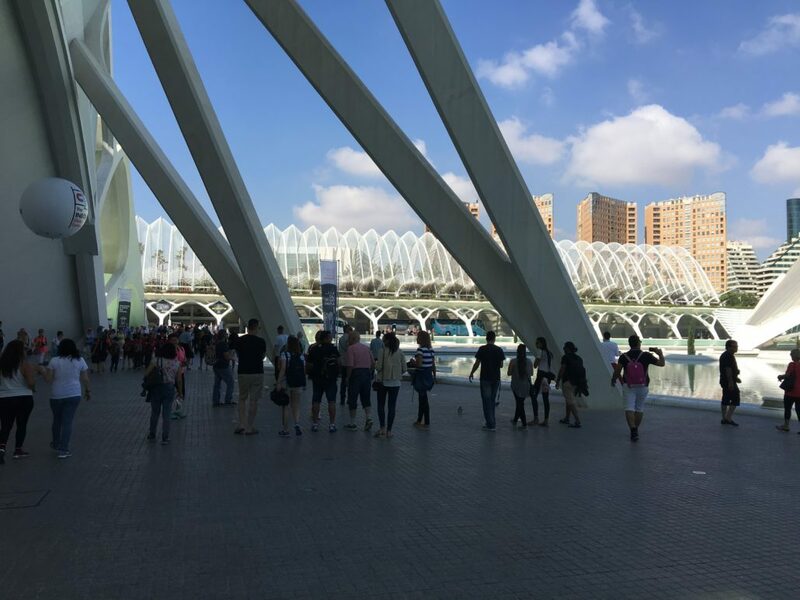 So as not to be too monotonous, though – England, USA, England – I’d like to encourage those interested in modern marketing to take a look at a conference taking place in southern Europe in sunny Valencia, The Inbounder Global Conference. 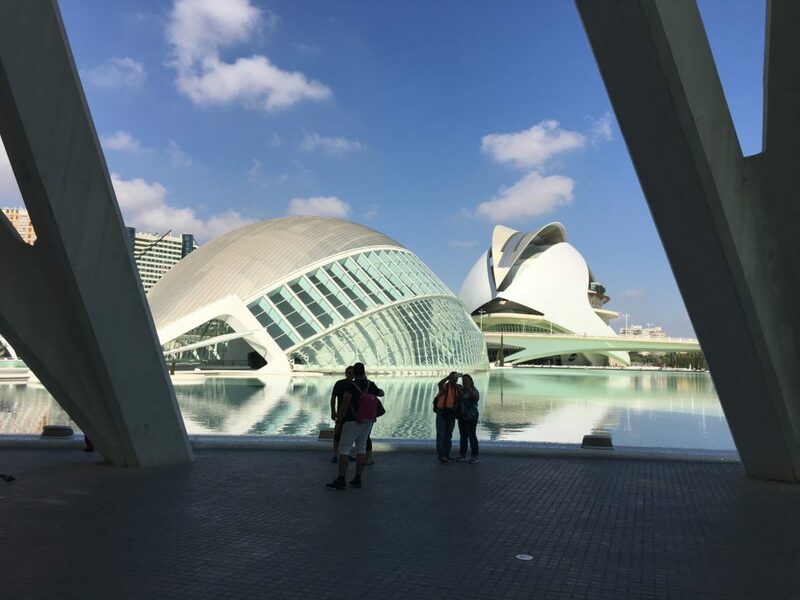 On the 19th and 20th of May 2016 in Spain, and more specifically in Valencia, the second edition of an event which could very possibly become stiff competition for events likes BrightonSEO in the UK (which I already had the opportunity to write about) took place in a very nice City of Arts and Sciences museum. This is mainly thanks to the open nature of the event, which invites speakers from different countries to give talks and presentations on internet marketing. And because web marketing is present in every country, but every one of these countries has a different market with different needs and conditions, this format has proven to be a successful one – it helps generate new ideas, new solutions for different clients, and new client expectations. The mix of experience of these speakers ensures that every participant can find content that interests him. All closely connected with the latest Inbound Marketing technologies and solutions, of course. 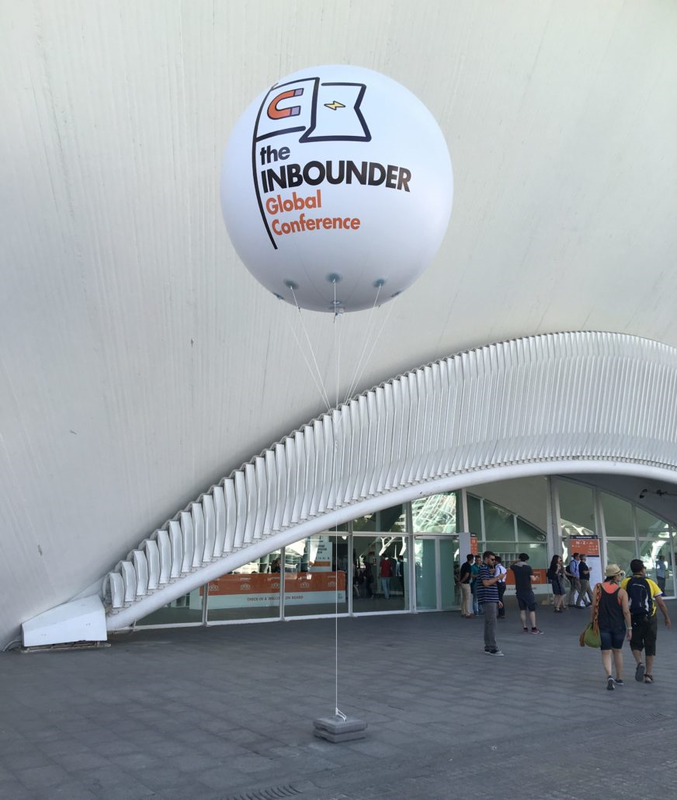 I had heard about The Inbounder Conference before, but it had remained on my “to check out” list for quite a while and I wasn’t sure when I’d ever get around to it. You know how work and the millions of other things you just have to get done keep you busy. But it just so happens that the people I work with know me pretty well, and they certainly know what makes me happy. So I actually got tickets to the Inbounder Global Conference 2016 as a goodbye present from the agency I worked for before, K2. A big thank you to all of you! This was definitely one of the best goodbye presents I’ve ever gotten! 😉 And that’s how my plans to attend this conference became reality, and I went to sunny Spain to see how well the organizers could keep their promises. 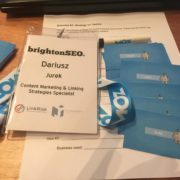 The idea for this SEM/SEO conference came into being thanks to the work and commitment of Gianluca Fiorelli, an SEO consultant and Web Strategist specializing in international SEO and Inbound Marketing. Gianluca is also known in the Polish marketing environment – in 2014, he was a guest at Search Marketing Day, organized in Warsaw by Max Roy. The idea of getting people closely connected with the creation of marketing strategies and therefore dealing with SEO, Social Media, Content and e-mail marketing, was in response to the rapid changes that have been taking place in these areas over the past few years. A response to the changes that constantly take place right before our eyes, actually. Technological progress and greater client awareness are forcing companies to put more effort into implementing strategies that create needs for their product than into the process of selling it. Traditional marketing via television and the press is nowhere as powerful as it used to be. Every strategy, be it for SEO, social media, or any other channel, puts the users first and prioritizes finding the best possible ways to reach them. So now, the focus is on the users, not the products, which I suggest everyone remember. A good solution is a broader look at the user – product/service process, and that is in fact what Inbound Marketing is about. Clients appreciate subtle advertising, not intrusive or even aggressive attempts at making contact. Currently, we focus on promoting a brand in the minds of users, so that they themselves are interested in finding and buying certain products. Unintrusively, naturally, and effectively. 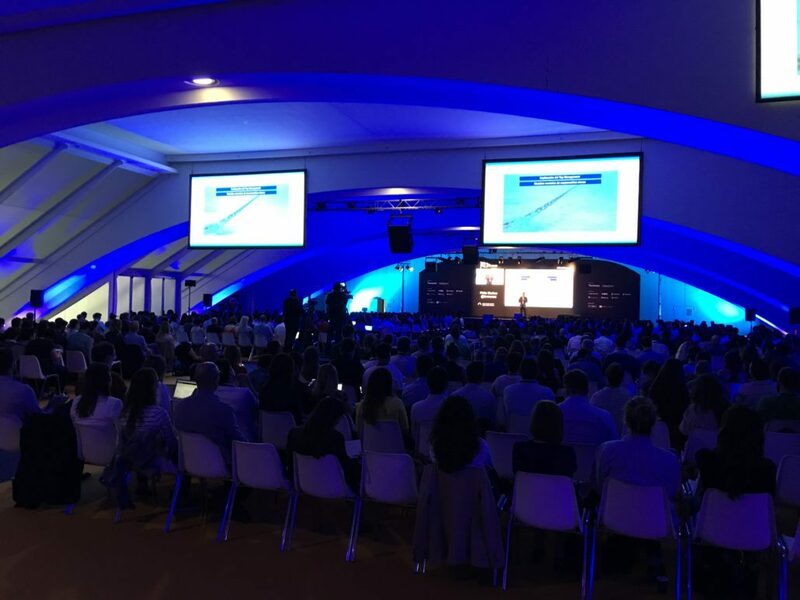 The Inbounder Conference I’m writing about could really be called a discussion and an incredible source of ideas and inspiration for the future of web marketing, as well as a way to identify upcoming trends. Some pretty impressive sponsors, brands such as MOZ, Semrush, mail Relay VRX and others, were also part of the conference and think tank, which only made it more prestigious. That also heated up the atmosphere during the post-lunch breaks, during which many passionate discussions took place. Luckily, there were plenty of col Heinekens to cool everyone down which we all enjoyed 😉 Many well-known specialists already made an appearance at The Inbounder’s first edition in 2015. This year, there were even more, with more than 20 international speakers. This gave all of us over 16 hours of lectures, plus networking, which cannot be underestimated at this kind of events. Among those present were, among others, Valentina Falcinelli – CEO of Pennamontata, whose presentation concerned the creation of content; Jennifer Sable Lopez – Senior Director of Community, who presented issues connected with building an effective brand communication team; Bas van den Beld – Online Marketing at State of Search, spoke about the creation of content tailored to users’ needs; Lisa Myers – Founder and CEO of Verve Search, who spoke about content marketing in relation to SEO. Gianluca Fiorelli himself was also present. It would be almost impossible to mention all of the presenters and summarize their presentations, so below I’ve decided to describe a few people who made the biggest impression on me, mainly due to the high substantive level and pure quality of the content they prepared. These presentations were also strictly related to SEO, which made them especially interesting to me personally. Will Critchow is a man who found his way to Internet marketing from mathematical studies to programming, from building strategies in companies to starting his own marketing agency— Distilled. He is also the co-organizer of the SearchLove conference in the US and the UK. His statements about web marketing can be found on both Distilled and Moz’s websites. His presentation concerned emerging and increasingly significant practices, which will have a bigger and bigger impact on web marketing. Up to 39% of Google users do not know exactly what they are looking for – their questions are not just asked in order to buy something/expand their knowledge, but sometimes also to simply satisfy their curiosity about nonsensical topics or search for inspiration. All these searches, even the completely pointless ones, can always be tied into in a certain context that makes Google better, allowing it to give us search results in line with our intentions; Will Critchlow generally spent a lot of time creating context for phrases searched for on the internet. Interestingly – up to half of our searches have no context older than one month; Google constantly updates data on what we search for and re-reads our intentions, presenting us with the most current content. Google can learn the context words in (Rank Brain). Searches are done according to the “what I mean not what I’m searching for” rule – the search engine algorithms try to adapt to our way of thinking, just by using the context of our searches and search history. Google learns context also through the work of Quality Raters, that is employees whose job it is to manually check search results. Context is not just phrases and keywords – we also use the devices that we search for the information we need, such as time and geolocation, to build it. Most of the tools and devices that use the Internet are super-personalized to the user, which is also evidence of their effectiveness (Cortana, Siri, amazonEcho, Google Now, Facebook M – intelligent personal assistants). All these tools are based on our historical data – the context of our queries is taken from this data, and our intentions are also read using it. This way, they become something of a personal assistant that can quickly present the best solutions thanks to the large amounts of data they possess. Rand began by demonstrating how Google’s work and algorithms have changed over the years – we don’t need slides to remember what things were like 3-4 years ago, and what they are like now. We must remember that the algorithms are constantly learning, also through what we ourselves give them; during his presentation, he showed how machine learning works – and not just when it comes to Google. Just think, for example, about the algorithms recently implemented on Instagram, similar to the ones implemented on Facebook or Twitter, that show us info selected info meant to interest us on our walls so we interact with it and stay on the webpage as long as possible. Machine learning, of course, leads to an increase in the involvement of users – where it is absent, product sales and brand development are impossible; user involvement counts on every internet marketing channel. Rand also showed a few things that can be Google ranking factors, and which almost nobody would have thought could mean something. Examples include the selection of important emails on Gmail, the addition of favorite places on Facebook or Instagram, and the frequent checking of certain places on Google Maps and navigating to them in off-site and on-site versions, that is local results. The reputation of a website is very, very important to search engines; each time you press the magic “back” button in the browser and go back to the search results, the website’s reputation in the eyes of Google drastically decreases. Fortunately Rand has ideas about how to deal with low user engagement – there is of course no one magic trick, but the right strategy will help us win with the excessive “back” button use problem. This strategy is, in a nutshell, building strongly personal content, matching content and context to the target group, caring for the CTR from the search results, and setting a good meta titles and meta descriptions; building personas is crucial here. When implementing marketing activities for our websites, we always have to put user experience at the top of our list; incoherent, disorganized websites immediately discourage users – myself included, of course; this does not help to build engagement. In UX – webpages that load slowly and ones crowded with pop-ups and other advertisements are a complete no-no, unless the only thing you’re after is to make a quick buck off of displaying those advertisements. But at the end of the day, everyone knows that short-sighted business strategies never lead anywhere good. Good analysis is the foundation of any successful website, especially the analysis of data from Google Analytics – pay extra attention to the bounce rate, and remember that all of your all activities should be reducing it. Remember about website penetration data as well, that is sessions and other pages visited by the user – these are all hints as to what you need to improve. At the website penetration level, properly set titles and internal linking are very important – a “call to action” is a must when it comes to engaging the user. Based on the examples presented we can say that organic results are mainly the results of local and personalized results. Starting Google Adwords without putting much thought into it is bad practice – clients are capable of spending a huge amount of money on keywords that are expensive but wrong; we should always remember that keywords chosen without a specific plan in mind do not bring us any benefits. There is generally a problem with keywords, one that all of us have probably witnessed more than once – usually properly planned keywords with great potential do not make the user a client. Very often, people just want to find out a bit more about a product or service, not necessarily buy it. If we want to rely on organic search results and base our success on local searches, we should make sure the content we introduce is as local as possible – Google likes it, and users do too because it builds trust. A landing page for sponsored results is a bad idea – such pages almost don’t meet the needs of the average user at all, and in a good strategy, in which we direct paid traffic from Google Adwords to these landing pages, we absolutely have to pay attention.??? to what??? Another aspect of a good strategy is take care of the UX and prioritize solving the problems of the majority of users of our site – too few companies are doing this. From the owner and administrator perspectives, of the one of the most important tasks is to provide new content; even if this is not always possible, you have to make sure that the existing content is updated and improved on constantly – remember, Google is trying to provide us only with the most current and relevant content. The best way to develop your content is to create platforms containing educational content for users, that, firstly, is constantly updated, secondly solves users’ problems, and thirdly meets the needs of those who are only looking for information. This content must be interesting, exciting and closely connected to the industry it is intended to promote. Q&A websites like Quora are very good for this type of thing – these types of sites get a lot of organic traffic and have a strong domain authority. Knowing our competition should not be limited only to the fact that it exists – for SEOs, information about the competition’s traffic levels and goals they set for themselves is very important as well. Competition is a benchmark thanks to which we can define our plans and assess our results. Another thing – we should check what keywords and types of subpages your competition is displaying, what tends to work in a certain industry, and whether our opponents implement SEM activities or have social media accounts. And, of course, how they rank on mobile. The basis of our work should be to compare the information architecture of our competition with our own, drawing the right conclusions, and then beating them. Keywords, keywords, keywords – the thing SEOs love the most. As you know, each one has a different strength. That’s why we should remember to prioritize them according to search potential. We can have thousands of these but the ones with the greatest potential should be regularly analyzed to check their visibility – there’s nothing worse than a site suffering because such a basic aspect was not taken care of. Further analysis should focus on why the competition is better than us, especially in terms of better-ranking subpages – hopefully we can take care of this issue quickly, especially because the reason can be quite simple, i.e. technical issues, or the competition has better tailored content or more authority for a certain subpage. Remember that SEO is affected by many factors – let’s catch up with (or pass!) the competition using various methods to reach clients, such as creating graphics, knowledge graphs, ensuring presence on themaps or creating graphics combined with video for a unique experience. Being multi-platform is the norm now; using only a computer is not something the modern user does – so of course every webpage we manage should also work properly on tablets and phones. Let’s make sure our websites meet our clients’ expectations – Google and its suggestions are invaluable in this point when it comes to which linking phrases we should use, etc. We can also feed Google and our pages good content, i.e. by writing comparisons, even ones like as Pepsi vs. Coca Cola – though it may seem silly, people want to know the answers to questions like these…which is better? Let’s not be indifferent to Google’s newest ‘inventions’ – let’s take advantage of the potential of tools like Direct Answer, that could result in an increase of traffic to our website. Let’s spend some time on content – This doesn’t mean whatever we can come up with in 5 minutes. Rather, let us examine what type of content suits a certain brand and what works best in social media. As for content – it should be varied and on different platforms. That will help us be more credible and reach people from different target groups. Mobile has already been mentioned – all I want to add here is let’s not forget about smartphone applications – done well, they are indexed too. At the end of her presentation, Aleyda advised us all to compare the speed of a slow-loading website to the bounce rate. If the analysis doesn’t look good, I think you all know what to do. Gianluca Fiorelli is the creator and founder of the conference – the theme of all the meetings itself is very close to him, and this could be felt all throughout the presentation. This is an SEO specialist that is deeply involved in inbound marketing. He is also is one of the experts who regularly writes for Moz on extremely varied topics – Gialuca does not limit himself to just one area. Though he once worked in television, now he runs his own company called IloveSEO. This man knows how to build the right brand history, sell it and get users genuinely interested in products. He juggles different media with skill, giving companies what they need most, the interest of clients. 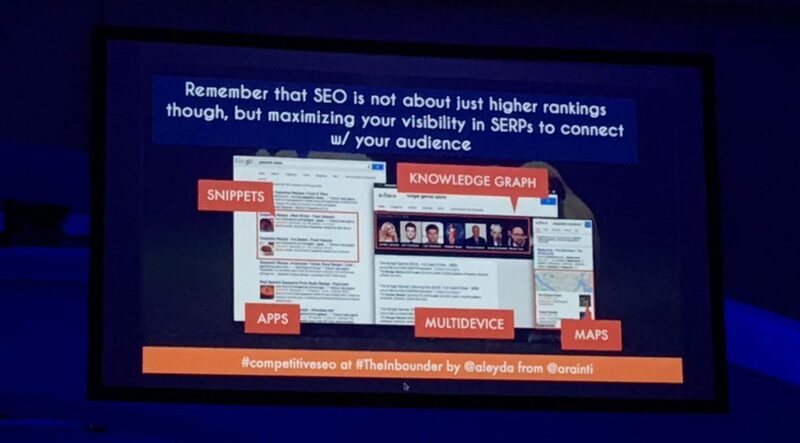 At The Inbounder, he tried to reveal a few of Google’s secrets to us. The beginning of his presentation was especially useful to people who are not closely connected to SEO – a detailed step-by-step explanation of how the very widely discussed Hummingbird algorithm works. His presentation of how Rank Brain works as the third most important ranking factor was no less important. Speaking of Rank Brain, a very important thing was repeatedly highlighted –the use of quite natural language used every day in speech or in writing. Rank Brain covers 15% of all eye keywords globally. Gianluca’s presentation was bursting with examples of technical implementations. The speaker drew our attention to the structure our website itself. If everything is okay, Google will be able to understand it, mainly due to semantics, or schema 3.0 and HTML 5. This in turn leads to a better understanding of the information by the robot. Also discussed was the issue context I described above – personalized searches and context greatly affect the meaning of a query. We got some practical tips on how we should write and mark content for a website to reach position of # 0, i.e. Direct Answer. 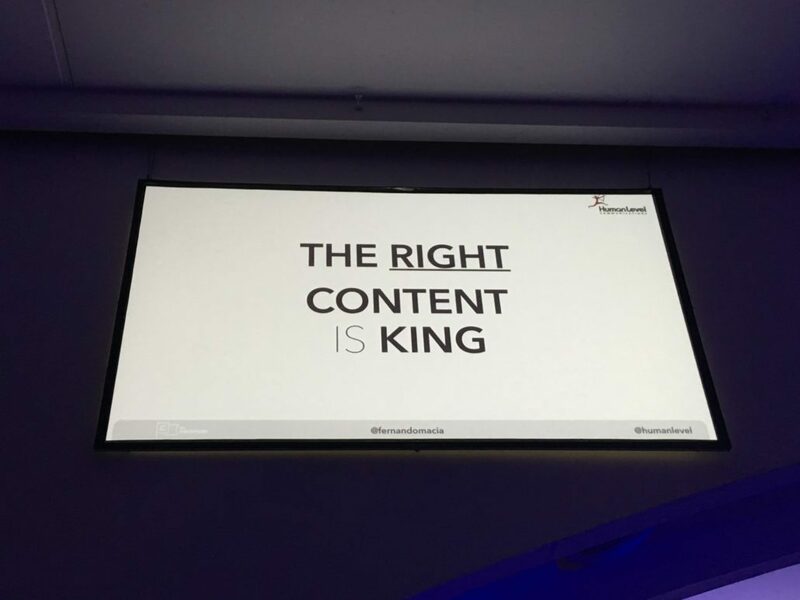 We were also shown, quite simply, how important it is to build content context and what we can use to do this, i.e. video, internal linking, photo and image descriptions. Something that was very useful – we were shown the many tools and methods that can help us create thematic content and that is tailored to all the recent changes in Google. Although some people doubt it – Gianluca confirms that the CTR from Google results is still extremely important in assessing queries, so let’s pay attention to titles and descriptions. Here is another person whose knowledge and experience just inspires respect. Fernando has been a part of the Internet industry since 1997, practically since the beginning of its intensive development. He’s not just a lecturer on contemporary digital marketing, either – he is also the author of several good books about online marketing. He is the founder (and current director) of Human Level Communications, which professionally advises clients on internet marketing. He knows the client acquisition process from A to Z, from interesting the client and getting him to visit the website, to convincing him to use the services of the company – and his presentation just confirmed this. He presented the process of finding information on the Internet in a very interesting way, as a funnel connected to a strainer – the client navigates through general motivation for a specific purpose, analyzing and rejecting various options based on technical information as well as reviews of other users alng the way. A lot of time passes from an idea to its realization, but SEOs focus mainly on the final keywords that tend to be quite detailed, while forgetting about the client, who is only halfway through his search. We should remember all of the stages of the “funnel” and adapt to different user intentions. User decisions are affected by a lot of the information they obtain, which is confirmed in practice – most conversion does not result directly from only one keyword, but is the sum of queries about a similar topic, typed in several aspects. That’s why we should try to get visitors to our site at every stage of the online search process. Each phase is important for the customer and generates queries for and against – we can use them in the construction of content and brand and product awareness. The possibilities are almost endless, because the client can be interested in virtually anything. …but for this key to exist, you will first have to do some analyzing. In this case, build a sample persona, which will vary depending on the stage of the decision-making path it’s at. Each of us goes from the general to the specific. We ask the search engine other questions, depending on what we are currently interested in, i.e. from the idea for a conference trip, through checking its reviews and the list of speakers, through checking the prices of flights, hotels, how close accommodation and attractions, to the moment when we finally buy a train ticket . Each question, in addition to general keywords, will be accompanied by other words. When thinking about the entire user search path, we can’t forget to adapt our company webpages or our clients’ webpages to it. It must match the different stages of interest in a product/service – so as to provide the user with the necessary information and tips at the right moments. What will be helpful? First of all, let us consider the data from Google Analytics – if the client leaves the conversion path at a certain stage, and loses interest in our service, let’s change what we can in right in that point. This mainly involves supplementing or rebuilding content. Did I like it? Without a doubt. Would I would go again? For sure. Was the level of the lectures high enough? Definitely, although of course there were a few less interesting presentations – at least in my opinion 🙂 And just to make sure I’m not too sweet, I have to name a disadvantage: there were no workshops or courses organized in connection with this conference. 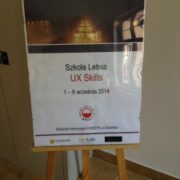 That was definitely shame, especially since nowadays, combining conferences with workshops and courses is the norm. Not to mention they are a great opportunity to ask the speakers a few questions – calmly, without having to rush. 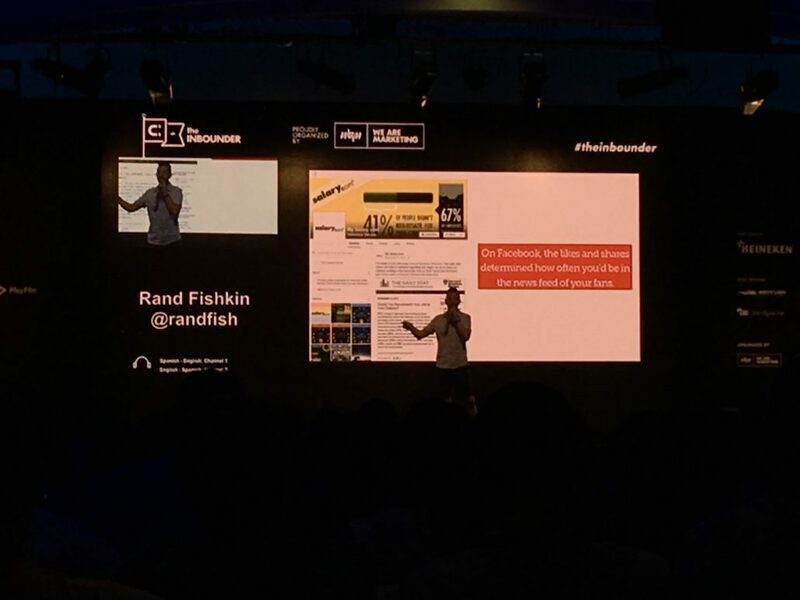 The Inbounder’s biggest strength is its famous and highly influential speakers, whose charisma and knowledge could be felt all throughout the presentations. Also, I found it nice that the entire conference is not focused on just one area of Internet marketing, but looks at it from a more general perspective. Thanks presentations on various topics affecting various problems, the audience was given a more complete picture of how to proceed in their own businesses. However, if the conference aspires to become a truly international one, all of the presentations will have to be in English. Some of the speakers spoke only Spanish – of course this problem was solved thanks to simultaneous translation — but it was a pity that the presentations we were later given were all in Spanish as well. The organizers took good care of all of us and practically every detail of our stay in Valencia was perfectly organized. We didn’t spend all of our time at presentations – there was time for networking and good old-fashioned entertainment, too. 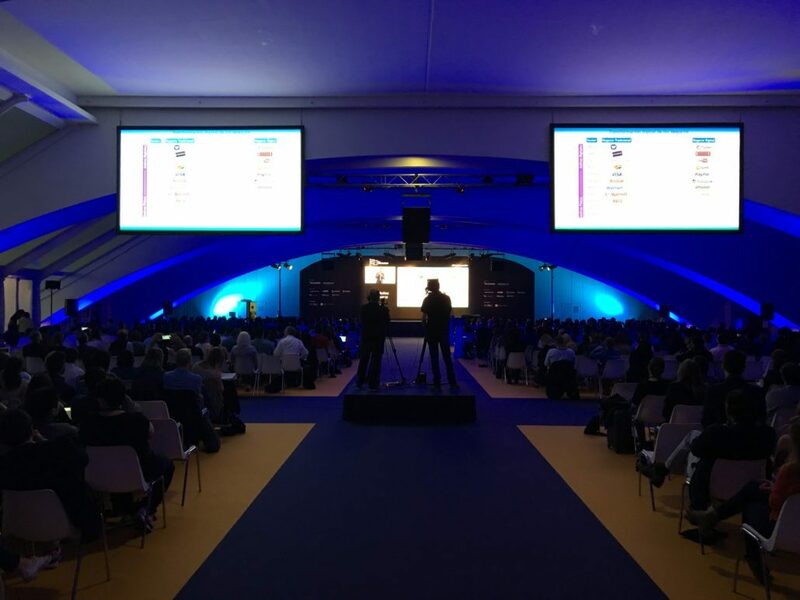 The location was of course a huge plus as well – an impressive conference hall in sunny Spain, surrounded by a beautiful park and countless feats of architecture, like the spaceship-like museum… I definitely recommend it! As for the substantive part – wow. The presentations contain such a vast amount of knowledge that you have to sort it out and organize it somehow if you hope to learn anything. The fact that all the presentations are made available to those who participated in the whole event definitely helps. The Inbounder was time well-spent and I’m really glad that I had the chance to attend. If not for this unexpected gift, I would probably not have made it to The Inbounder until next year or even later. I know I definitely want to relive this adventure in the future to see how the conference develops and find out all the newest news about Google and search engine marketing. So yes, Valencia, I will be seeing you again! P.S. Stay tuned for my upcoming review of the Search Marketing Summit in Australia!